Previously Sramore Top in MV. Keelogyboy Mtn NE Top is the 783rd highest place in Ireland. Longest Mountain name in Ireland? 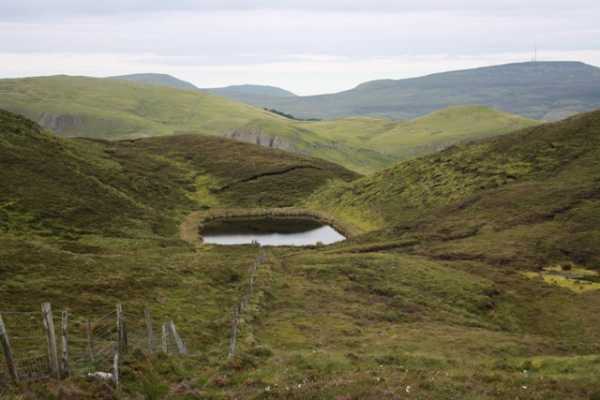 There are four hills bearing the name ‘Keelogyboy’ in this area of upland. Three of them are distinguished by where they are in relation to the mother ship, Keelogyboy Mountain. Therefore we also have the SW Top, the NE Top, and the delightfully oriental Far East Top. Keelogyboy Mountain North East Top (KMNET) and indeed Keelogyboy Mountain South West Top (KMSWT) are serious mouthfuls to pronounce. Both consist of 9 syllables, and take 2 seconds each to pronounce! In fact I will lay the claim to have found the two mountains with the longest names in Ireland. Both KMSWT and KMNET consist of 30 letters in their names! Several MountainViews summits have 20 letters or more and one, Silvermine Mountains Far East Top, even has 29 letters. But surely these two Keelogyboys take the long name medal?